31.12.2017 - Another year is over.... We have got many bad and many good... New friends, few lost... Its life. One chapter is over, another, better I hope begins. The year 2018 will be special for sure. We have many wishes and plans. I wish the best to you all!!! 25.12.2017 - You can find us on Instagram too. Many photos behind the scenes and from our life. Click on the icon on left to get the dirrect link. 22.12.2017 - In our kennel we price our progeny and theire owners for what they do. We have two internal competitions. One for those, who participate in trianing, breeding terms,... The second is for all, who do shows. For every result we give them points and the best get a price. The first year was only for 1st places, but we have now more litters, so we aware first 3 places. 1. place Tobrok Conall Yel "Arwe"
2. place Tobrok Casshern Yel "Bax"
3. place Tobrok Caleb Yel "Kali"
1. place Tobrok Drogo Tar "Drago"
21.12.2017 - Today celebrate the second birthday puppies "B"!!! Barakka, Betalgea, Biryuk, Bighan, Balerion, Baharak and Briseis. Happy B day!!!! 19.12.2017 - our Leon - Amarok Saint Barbarons, is again TOP 1 Hovawart!!! In Slovak competition DogCup in both categories! Im sooooo proud! 16.12.2017 - Today the meeting of our Tobrok family. Angstroom, Ankh Ror, Barakka, Biryuk, Caleb, Casshern, Casshera, Emperorra, Akia Tawy, Gunner Malý Bysterec and Oberin Malý Bysterec. On photo from left - Emperorra, Caleb, Angstroom, Casshera, Barakka, Ankh Ror, Casshern, Cloris Loris, Biryuk. 14.12.2017 - TV JOJ has new series - VLCI, where in the trailer can be found Barakka, Baharak, Caleb and Casshern! Great presentation for the breed and our kennel! Video HERE! 10.12.2017 - CACIB Nitra, judge: Piskay (SVK). From our kennel Barakka - Excellent 2, res.CAC (2/4), Casshern - Excellent 1 (without title because of color!!! ), Drogo (juniores) - Excellent 2 (2/8!!! ), On photo Drogo, Casshern and Caleb. 07.12.2017 - Today left to her new home Ewoka. She will be future brood female of kennel Zamaratan. Emperorra will go in february to Denmark. On photo left Ewoka, right Empi. 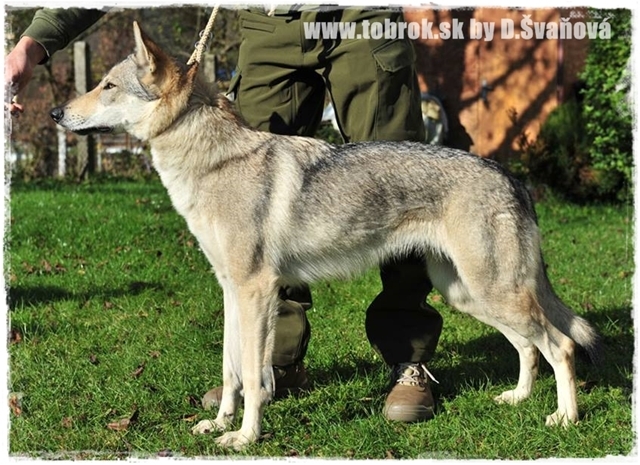 15.11.2017 - I present new female, that we will use in our breeding Chase ArQeVa. Her profile here. Chase is import from Czech republic and is daughter of well known Ir Oskar Dor a male I liked a lot. She has great character and nice body. I think she will make a good brood female in our kennel. 08.11.2017 - New photos of our actual puppies, they are chipped and vaccinated. We sent all the documents, so now only wait for the pedigrees. 03.11.2017 - Soooo we had mail today and Amarok Saint Barbarons is officialy Interchampion C.I.E!!! 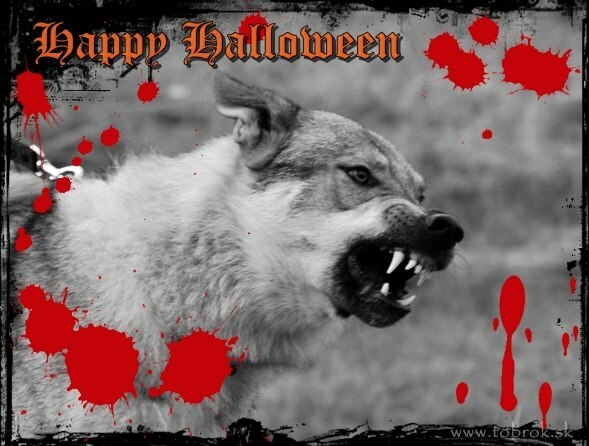 31.10.2017 - Happy Halloween to all! 25.10.2017 - Tobrok Casshera Yel (Yelka x Baxter) has her HD and ED results. And they are the best - clear!!! HD A/A and ED 0-0. Congratulations!!! 23.10.2017 - Stud male with excellent character, health results and interesting pedigree!!! DAN Tawy (Gunner Malý Bysterec x Ambra Tajemný přelud). HD: A/A ED: 0-0 DM N/N DW N/N. Majiteľ: Petr Irein, ČR. Dan is the only stud male from this litter!!! 22.10.2017 - We have here a bit rainy weather, but took new photos of the puppies. 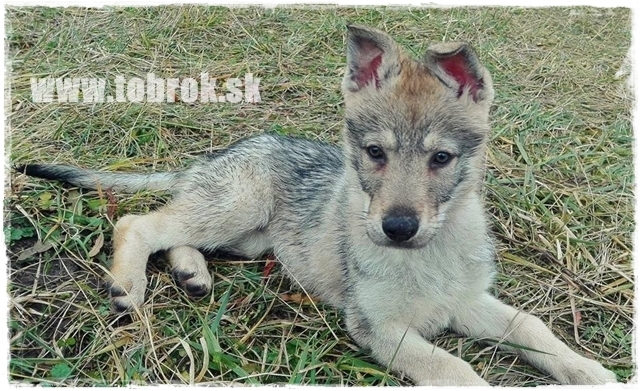 Ewoka, the bigger and browner female will stay in kennel Zamaratan, in Slovakia. Emperora will probably travel to Danemark. 20.10.2017 - First birthday of our "D" litter!!! Doreah, Daenerys a Drogo. 19.10.2017 - PWorld dogshow in Germany - increadible 195 CsW registred!!! 16.10.2017 - The puppies are 2,5weeks old and we made a health check and weight them. Ewoka is 2340g, smaller Emperora 1670g, both weight in standard. We are realy happy. Next is deworming time. 15.10.2017 - Emperora is reserved. So both puppies have theire future owners for now. We plan next litters for next year. More comming soon. 12.10.2017 - Today we took photos of our "E" puppies after Tara and Amur. Ewoka (darker) and Emperora (silver) are getting on weight. Ewoka is reserved, we still look for family for Empi. We made also new photos of Doreah, who is living with his mom. 11.10.2017 - In kennel Zamaratan are born 7 puppies. There are males and females ready for reservation. 10.10.2017 - Thanks to realy unresponsible breeders is our Lara ill and she can not be mated! We are sad, angry and also sorry. The litter "F" is pospoted to next year. We use Aimu or if stud our Caleb. 07.10.2017 - We visited puppies after Tara and Amur. The girls are soooo different. Bigger, dark brown female Ewoka is reserved. Smaller silver colored Emperora is free for reservation. 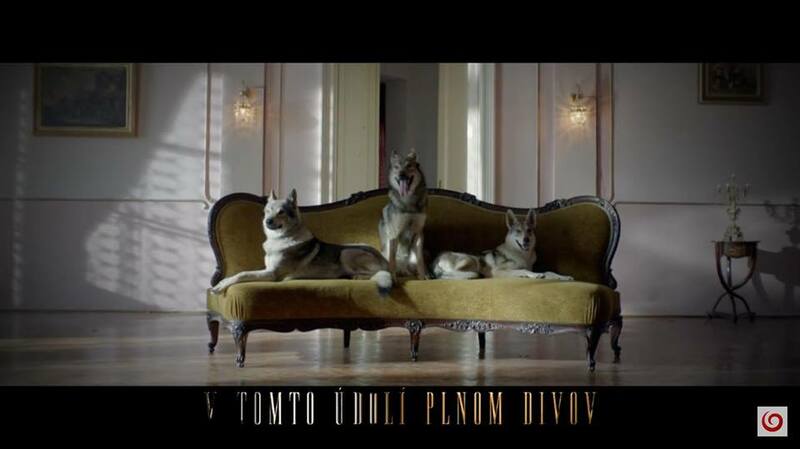 06.10.2017 - Today Barakka, Baharak, Casshern and Caleb too part on a movie for Slovakian TV JOJ with the name Wolves. 03.10.2017 - In kennel Zamaratan are puppies awaited!!! 01.10.2017 - Excellent 1, Jugendbester (CAJC), BOB, BIG 3!!! Congrats!!! 30.09.2017 - In few days the mating of Angstroom with Aimu. Our litter "F". Female of first choice reserved for breeder! The litter will be born in Beša, Slovakia. 29.09.2017 - We recommend litter from kennel "Malý Bysterec". In the litter are 2 females and 4 males. High quality litter, great breeders service. 28.09.2017 - Whole 68 days kept us Tara in tautness. She was realy not showing, she is predgnant. At the end, finaly, the puppies "E"xtra were born. We have two females. 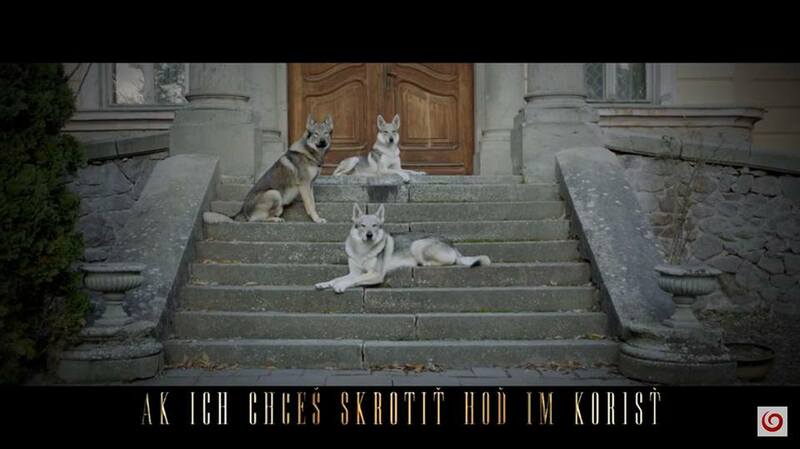 Since only two puppies are born, both must stay in Slovakia - no export this time. 25.09.2017 - Akia is in heat, but we do not plan to mate her this year. 24.09.2017 - Tara is still not in "mood" to dleiver puppies, so we still wait. 21.09.2017 - Every day now should be born the litter "E". Tara is in great condition. 18.09.2017 - On sunday was the special show for CsW in Jedovnice, Czech republic. Conall got Very good and a nice judgement. Thank you and congrats! 17.09.2017 - International dogshow Nitra, represented us: Caleb - juniores class - Very good (because of limping on his hurt leg), Casshern - juniores class - Excellent 3, ObiWan - juniores class - Excellent. Thanks to the owners and congratulations! 16.09.2017 - International dogshow Nitra, represented us: Angstroom - open class - Very good 3, Barakka - intermediate class - Excellent 3, Casshera - juniores class - Very good, Caleb - juniores class - Excellent, Casshern - juniores class - Excellent, Oberin (Gunner x Connie) - juniores class - Excellent 3, ObiWan - juniores class - Excellent. Thanks to the owners and congratulations! 15.09.2017 - It seems, that our co-owned female Angstroom starts her heat and that means we plan next litter Tobrok "F" Ang. 11.09.2017 - Bojar od Našej Vlčice (Gunner x Agira) has examed the dysplasy. HD A/A a ED 0/0!!! 10.09.2017 - Regional dogshow Pezinok. Represented us: Barakka - Excellent 1, Class winner, Regional winner, BIG 2!!!. Drogo - Excellent 1, Junior class winner. Obi Wan Malý Bysterec (Gunner x Connie) - Very promissing 1. Congratulations! 09.09.2017 - Regional dogshow, Liberec, Czech republic. In juniores class represented us Conall and got nice judgement with result Excellent 1, Juniores class winner. Congratulations! 07.09.2017 - Tara is pregnant and it seems, that there are a lot of puppies!!! 02.09.2017 - Regional dogshow Banská Štiavnica. Obi Wan Malý Bysterec (Gunner x Connie) got the result Very promissing 1 and BIS baby 3!!!! Congratulations!!! On the next show in Nitra he starts in juniores. 31.08.2017 -Tobrok Conall Yel (Yelka x Baxter) has now results of HD and ED and as his siblings, has the best results! HD A/A and ED 0/0!!! Now only missing bonitation to be stud! 28.08.2017 - We go to hospital. So i will not respond on mails for a short time. Thank you! 23.08.2017 - Bak od Našej vlčice (Agira x Gunner), DM N/N, DW N/N! Congrats to owner!! 21.08.2017 - After a longer time update in photos of Daenerys. She is IMPRESSIVE!!! 20.08.2017 - International dogshow Duodanube Bratislava. Represented Drogo, he got Excellent 2. Obi Wan Malý Bysterec (Gunner x Connie) Very promissing 1 and got so the title Slovakian puppy champion!!! Congrats. 19.08.2017 - International dogshow Duodanube Bratislava. Represented Drogo, he got Excellent 2. Obi Wan Malý Bysterec (Gunner x Connie) Very promissing 1! Congrats. 18.08.2017 - Tobrok Cloris Loris Yel (Yelka x Baxter) has now results of HD and ED and as her brother, she has the best results! HD A/A and ED 0/0!!! 17.08.2017 - We highly recommend a litter! 15.08.2017 - It seems, that Tara is pregnant. But still, we need time to make full confirmation. 14.08.2017 - Finaly I have the long awaited book in my hands - History of Czechoslovakian wolfdogs. 13.08.2017 - Youth presentation and bonitation in Mošovce. Youth presentation: Drogo - Very promissing, Caleb - Very promissing, Casshern - Very promissing. Thanks to owners, im sooo proud!!! On photo from left Drogo, Casshern and Caleb. 10.08.2017 - The statistics for club show in Mošovce. 08.08.2017 - Tobrok Casshern Yel (Yelka x Baxter) has now HD and ED results and theire are the best!!! HD A/A and ED 0/0! Now they can realy start train for endurance run. 06.08.2017 - Tobrok Conall Yel (Yelka x Baxter) has official tests for DM and DW and both are NEGATIVE! Congrats!!! 05.08.2017 - Tobrok Caritas Yel (Yelka x Baxter) will absolve very soon health checks HD,ED, DM, DW and DNA. We cross fingers. Tobrok Cloris Loris Yel (Yelka x Baxter) will absolve HD and ED Xrays soon, we cross fingers. 04.08.2017 - New photos of Amaroks children Cora and Cyril. 29.07.2017 - Regional dogshow in Povoda, we were at home, but some of our puppies represented our kennel and here are results. On photo left Barakka with her father Aimu z Dubničanky. Aimu is our planned father for litter with Angstroom. On photo down from left Angstroom, Caleb, Aimu z Dubničanky, Barakka, Drogo a ObiWan Malý Bysterec. 24.07.2017 - Balerion visited his parents on weekend, he is living in Czech. One great male! 23.07.2017 - Today the first succesful mating Tara Kysucká hviezda with beautiful Amur Kalinovská svorka Gero. If we had luck, around end of september we should welcome our litter "E". 20.07.2017 - Please visit our Facebook, where we daily add photos of our litters and puppies. 17.07.2017 - Yesterday was also the first meeting Tara and Amur. Amur was already ready to mate :D but well, its still not the time. We must wait until 13-15th day. We hope for puppies, since this male is a huge hope for our breeding. 16.07.2017 - Arwe, aka Conall (Baxter x Yelka) was as first from the litter "C" on youth presentation in Czech republic, where he also lives. He managed it perfect and got result A67 K1 Of P3. Huge thanks to the owners and congrats! 12.07.2017 - With the owner of the stud male, we agreed about the mating and I would like to present the stud male for Tara. Its Amur Kalinovská svorka - Gero. It will be line breeding on "G" Kollárov dvor. The mating should be in about 2 weeks, I hope, there will be something, since its an important male, but older one. 11.07.2017 - Today, we can officialy say, that Tara is in heat. The last litters, she was mated on 13-15 day, so we will visit the choosen male in those termines too. We plan one visit before the mating for sure, so the two can run a bit together. We have choosen an older male, but important for breeding and impressive one in his age. 04.07.2017 - Tobrok litter "E". It seems, thate Tara Kysucká hviezda will soon start her heat. We plan her mating, in plan are two males, from those we will choose, hope, the best one. 22.06.2017 - New book in slovak language about CsW is comming. Im soooo happy!!! 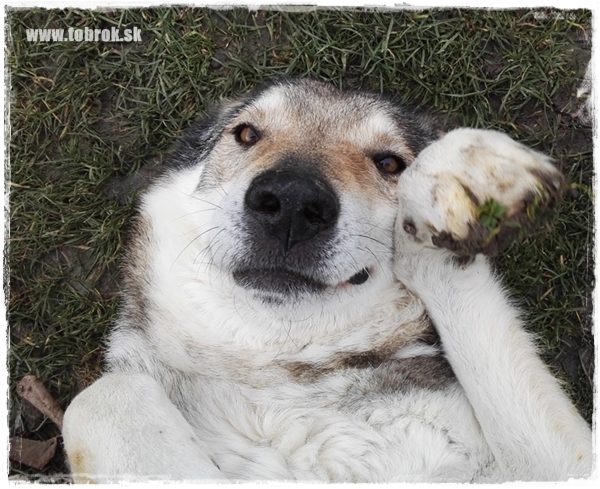 History of Czechoslovakian wolfdog with many not published photos of old dogs. 21.06.2017 - SO now its online the registration for club show - for CsW, the judge is Mr.Rosík... Oh well, never mind this, we registred our dogs and on the show will represent Caleb, Casshern and Drogo, plus the competition for best breeders group. On the show will be Bojar od Našej Vlčice (Gunner x Agira), because of the stud term - absolving club show. Also from litter with Connie, ObiWan Malý Bysterec. On the summer camp will be also the option to pass a training exam BH - SK - our Angstroom and Caleb are registred. 11.06.2017 - International dogshow, Italy, Viterbo. Bajkal od Našej vlčice (Gunner x Agira) got last CACIB for title Interchampion!!! SOn is making us proud. 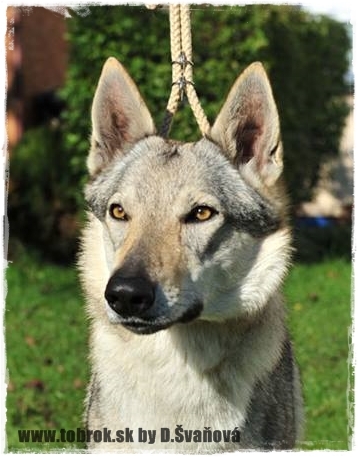 But also in breeding, he is making great thing - his son, C´Kratos Salto del Lupo got on this show JBOB, BOB a BOG3!!! 05.06.2017 - After a very hard weekend im preparing the documents for the C.I.E. championate for our Amarok. Its needed to be done, so we can start the last available title in SLovakia - CHampion of SKJ (Slovakian Kynology Union). Amarok Saint Barbarons, champion class - Excellent 1, CAC, CACIB, Grand Prix Slovakia winner 2017 and new Super Grand Champion of Slovakia! Tobrok Casshern Yel, juniores - Excellent 1, CAJC, BOJ a JBIG 1!!!!!!!!!!!!!!! 01.06.2017 - Since today are the pages under construction, that will last until end of june. Sure, the pages will work as usual, we will bring the news on time, but you will find new texts, translations ect. 30.05.2017 - Conall (Baxter x Yelka) is first from "C" litter, who absolved the tests for DM (degeneratíve myelopathy) and DW (dwarfism). We know, he is healthy (we do not breed two carriers), but now, we are sure, he is not carrier, he is free for both! Tobrok Conall Yel - DM N/N, DW N/N! Congratulations to owners of Arwe! 27.05.2017 - We would like to present second kennel, we cooperate with, kennel Malý Bysterec, from where our GUnner commes and his last litter was done in this kennel too. Great character, excellent exterior and pedigree!!! Full breeders service and socialised puppies! The kennel plans two litters for this year. 26.05.2017 - As you can see in our left menu, we cooperate with two Slovakian kennels. We support them and think, they are worthy to have a look on they work. First is Zamaratan. Here was our second litter born, after Barbora and Aimu. Barbora is now in the kennel Zamaratan as brood female and they plan a litter after her. A foreign great looking male, in bright colors, great pedigree and we think, we can say also great character - you can see it in our puppies "B". The pupps are bred in house, full socialised and have great potential! 25.05.2017 - Finaly we had time to properly visit kids after our Amarok and Fju. Cora stays at kennel and Cyril is searching for home. I hope, he find it in Slovakia, since Russia and France is interested, but I would realy love to see this boy often. He is perfect! Such open character, great coat and bones!!! 23.05.2017 - The first from litter "B", Balerion absolved the x-rays for hip dysplasy. And got the best result he could! He is A (0/0)!!! Congratulations to owners and many thanks! 19.05.2017 - Updated actual photos of Gunners pupps from litter "O" Malý Bysterec. Mother is Connie Vlčí tlapka. On photos Orava, Oliver, Oberin, Obsidian, O´Taris, ObiWan. 17.05.2017 - Biryuk, aka. Atabaska / Ati is with his owner on vacation. By his mom and dad Barbora and Aimu. They will have great time together. 16.05.2017 - Cora and Cyril z Narcisovej. Puppies after our Amarok and Fju. They are now 7 weeks old. Cora stays at home and Cyril is searching for a new family. Ideal as show dog and great companion. Both pupps open and friendly character. 15.05.2017 - New stud male after our Gunner Malý Bysterec and Agira Vlčí démon. Bak od Našej vlčice passed the bonitation and is now offitialy stud male. We present him on our pages here and plan to use in our breeding too. Right now we wait for the results of degenerative myelopathy and dwarfism. 14.05.2017 - One great day with great people and theire dogs. We did meet with Leon (Amarok Saint Barbarons) by owners of Oberin Malý Bysterec (Gunner x Connie). Later did arrived his brother ObiWan and female Aima z Vlčích makov. We vere there with our Amarok. Was a great time, spent with food, talk and dogs had fun. I hope we will repeat this soon. Few photos in our gallery. 13.05.2017 - Today celebrate the first birthday our litter "C", they may be born on friday the 13th, but are super great and lucky pupps! Casshera, Cloris Loris, Casshern, Caritas, Convel, Conall, Cor Fortis a Caleb! Thanks to the owners for great care! 07.05.2017 - Second day on Lučenec dogshow was sure better for Amarok Saint Barbarons in champion class Excellent 1, CAC, CACIB, BOB!!! We need now only one CAC for the next title - Super grand Champion of Slovakia. 06.05.2017 - First day on dogshow in Lučenec, Amarok Saint Barbarons in champions class Excellent 1, CAC, res.CACIB! Today participated our Balerion, living in Czech republic on Volkswagen Marathon Weekend - class - walk with dog on 4,5km. Thanks for presentation! 30.04.2017 - Today was the Slovakian hovawart club show. We had a hard competition of 3 other champion males. We made it to get an excellent 3 by german judge Dieter Lang! We are sooo proud!!! Also we recieved the pocal for the Best male of SHK year 2016 - 1st place!!!! And last but not less important, as breeding group Saint Barbarons we got 1st place in the competition best breeders group! 28.04.2017 - Amarok Saint Barbarons is 3 years old today! We love this boy sooo much!!! He made our lives better in many ways. On photo as fresh newbie in our home. 26.04.2017 - Cyril z Narcisovej, beautiful boy after Amarok and Fju, is searching for a great home. He is great in character, for show or breeding. 23.04.2017 - The kids after our Leon. Cora and Cyril. 18.04.2017 - The life is sometimes cruel... The one female after Amarok and Fju did not well with weight. Her siblings were over 2kg and she only about 850g. She was small, but fight until the very end. Now, she passed away. The breeder did everything to safe her, and I thank him from deepest of my heart... The Male and female are doing well, female stays in kennel and the male, nickname Cyril searches for good family (on photo). 16.04.2017 - 2xCACIB Maribor - O´Taris Malý Bysterec (Gunner x Connie) got it!!! 2x Very promissing 1 and on one day Best in Show Puppy 3!!! Orava Malý Bysterec (Gunner x Connie) was only only on one of this shows and got Very promissing 1! 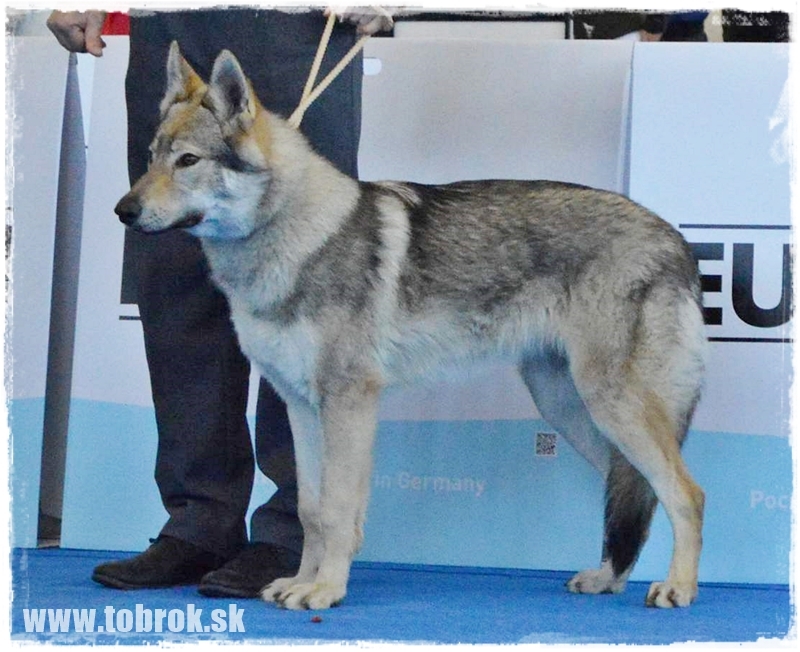 15.04.2017 - International dogshow Praha, Czech republic - Tobrok Caritas Yel on his first show gor Excellent 3 and nice words from Mr.Hartl about his great open character! Im proud!!! 14.04.2017 - Easter regional dogshow, Vlčkovce, 14.04.2017. Amarok Saint Barbarons - champion class, excellent 1, class winner, Regional winner and TOP best in show male (27 breeds!!! and one of 3 bigger breeds in the line) Im sooo proud!!! 02.04.2017 - The same scenario as yesterday. 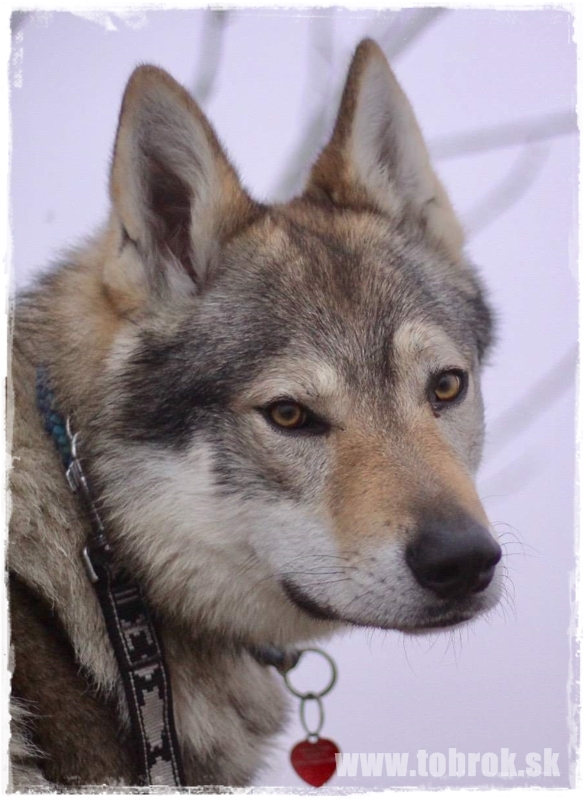 Leon (Amarok Saint Barbarons) did a great job, I see our boy matures in head too! :) Im proud, he took in champion class Excellent 2, res.CAC, res.CACIB, since it was realy not because of bad movement in handling or anything like that, but real judgement! Good boy! 01.04.2017 - Today, we were on IDS Bratislava with Leon (Amarok Saint Barbarons) he was amazing in handling and Im proud on him. Even we did not win, for me, one of the best shows since longer time. In champion class Excellent 2, res.CAC, res.CACIB. 31.03.2017 - We have many requests about our litters, so here are the this year plans! 30.03.2017 - Bighan is a super star! The owner did a great job and worked hard with Lupin. He is the new face of a clothing mark. The photoshoot took part in New York and i think, the first sneak peak pics are AMAZING!!! 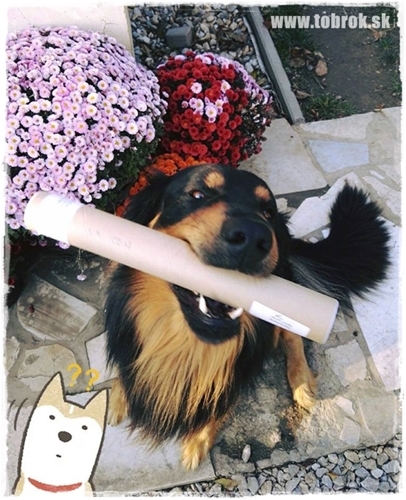 Im sooo proud on both, the owner and Lupin too. 26.03.2017 - In kennel "z narcisovej" were born 3 puppies, all black and tan, one male and two females. So our Leon is the first time father. COngrats to breeder, many health to mom and babies. 25.03.2017 - We will represent on our pages two brothers from Agira x Gunner litter, Bojar od Našej vlčice, and Bak od Našej Vlčice. Both are great hope, also for our next breeding. The profiles soon. 24.03.2017 - I decided, we go to the club show of slovakian hovawart club, even if we have no luck there, we will go and have fun. 21.03.2017 - We await the birth of "C" z Narcisovej on weekend - Fju Folcrum and Amarok Saint Barbarons! 14.03.2017 - We have new info from the owner of Fju, who is mated with our Leon. Everything seems to be OK and in about 2 weeks we await puppies. If you are interested, please feel free to contact us or the owner of the kennel "z Narcisovej" on Facebook. 06.03.2017 - Finaly photos of "O" puppies also here on our pages. Photo: Orava and Oliver, both in Italy. 03.03.2017 - There is a new litter after our Amaroks mother Chile Kráľovská stráž and Hungarian stud in black color Plattensee-wart Argos. Few males in blond and black are free. if you search for top quality, you are right here. 01.03.2017 - New photos of Cor Fortis, living in Poland and Caritas living in Czech. 27.02.2017 - New photos of Angstroom! 18.02.2017 - Todays world dogshow for national breeds was stressful, but we managed it somehow. At first, I did not enter the ring with Amarok on time, for the CHampion of CHampions, so nothing for him today, but the rest of our team was great. 17.02.2017 - Our Amarok Saint Barbarons will be first time daddy!!! We proudly present the great news, that Fju Folcrum will give birth to the litter "C" z Narcisovej around 25.03.2017. 14.02.2017 - I have sent the registration for competition "Best dog of year 2016" for our Leon. Last year, he was on 1st polace, it was competition for year 2015. Our year 2016 was full of wins in foreign, so we may have again the higest number of points. 10.02.2017 - We recieved few more interested in using Leon for mating and makes me so proud of our boy!!! For now, we wait for confirmation of pregnancy with Fju. 07.02.2017 - Puppies "O" Malý Bysterec have theire gallery by us too. 05.02.2017 - All puppies slowly go to new homes. The Itlaian trio left home: Oliver, O´Taris and Orava. 04.02.2017 - Today left first puppy the home Oberin Malý Bysterec domov, he will live in Nitra, so Im happy I will see him often. 29.01.2017 - It may seem, we do not upload anything on our pages, but in reality, nearly every day new photos are posted on Facebook pages. 23.01.2017 - The repeating of mating is planned today. And we had succes. Every infrmation about this litter on Facebook pages of the kennel z Narcisovej or here by us, when we have confirmation. 21.01.2017 - Today historicaly first mating with our Amarok, the female is Slovakian black and tan Fju Folcrum!!! 18.01.2017 - Tomorrow is the second close date for registration for Slovakian national breeds dogshow in Bratislava. From us 12 puppies will participate! What a dream! Shery did not had one of her best days, but she did it and got the first place. Sadly she is missing one VP 1 for the puppy championate :/ This was the last show in puppy class, on the next one they will be in juniores already. 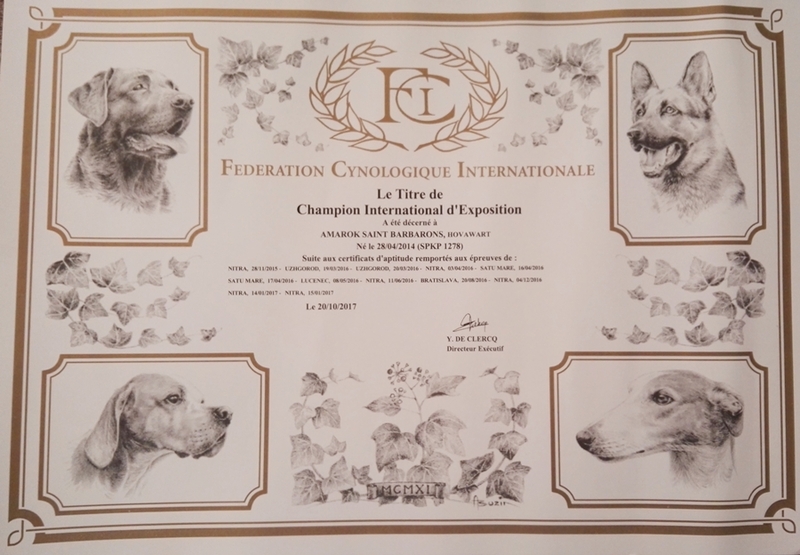 Amarok Saint Barbarons - champion class - Excellent 1, CAC, CACIB, BOB!!! 14.01.2017 - Today was a succesfull day! New Year Show Nitra. On the show were two puppies from litter "C". Tobrok Caleb Yel - puppy class - Very promissing 1 - New puppy champion SR!!! Thanks for representation for both. But we did with Leon also something very special! 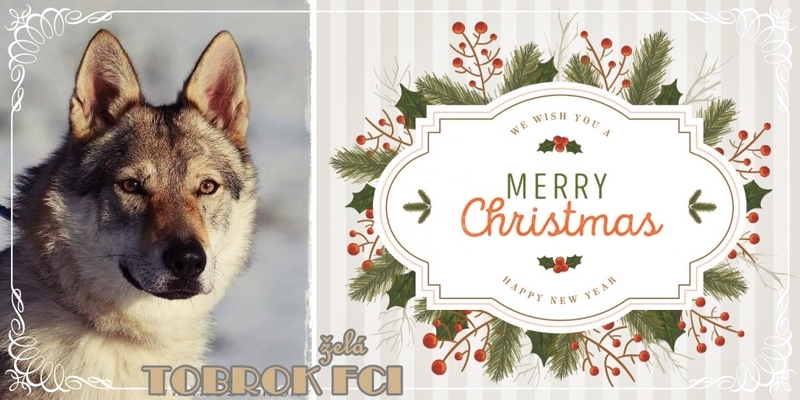 Amarok Saint Barbarons - champion class - Excellent 1, CAC, CACIB, BOB - New Slovakian show champion (first Slovakian hovawart with this title and he is not even 3 years old ♥)!!! 13.01.2017 - We celebrate 7 years of our kennel name!!! 10.01.2017 - It took long, but now, Akia is finaly back in her mood and is happy hen I come to her, she eats more and finaly we managed it to make her happy about her life again! 04.01.2017 - Today is the first real snow here in Nitra, I hope Akia will be happy, since she loves snow. 03.01.2017 - The sirup stopped the milk production. Still, AKia is sad and demaged the whole kennel pen. 02.01.2017 - Akia got from our vet a special sirup for stopping the milk production. She is taking it realy bad, is sad and do not want to eat. I hope she gets soon in her old happy girl mode. 01.01.2017 - Created news archive for year 2016.